Serving the world's poorest and most forgotten people. For 150 years, the Comboni Missionaries have traveled to nearly every corner of the world, sharing the good news of Christ and working to protect the dignity of all people. 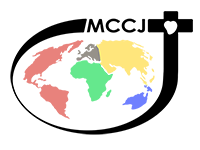 Founded in 1867 by St. Daniel Comboni, the Comboni Missionaries are an international Catholic organization dedicated to ministering to the world’s poorest and most abandoned people, often working in unstable political climate, in the midst of extreme poverty. Despite these challenges, our missionaries are dedicated to their mission of serving God’s people. 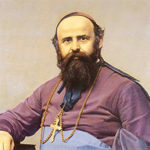 Daniel Comboni, born in Limone, Italy, in 1831, knew at an early age that he would be a priest and missionary. His love was Africa, and in 1854, when God called him there, Daniel answered with all his heart and soul. St. Daniel devised a Plan not just to bring the Gospel to people who never heard it but also to prepare Africans to evangelize their own people – a revolutionary idea for his time. His motto, Save Africa with Africa, captures the essence of the trust he had in the African peoples. Named the first Bishop of Central Africa in 1877, St. Daniel continued his faithful ministry until, at the age of 50, worn out and plagued by fever, he died, but not before founding the Comboni Missionaries and Missionary Sisters who today carry out their founder’s charism across Africa, Europe, Asia and the Americas. St. Daniel Comboni was canonized in 2003 and remains an inspiration to all who have a heart for mission. I have only one life to consecrate to the salvation of these souls: I wish I had a thousand to spend them all to such a purpose.